Independent living communities are residential communities designed for seniors who can live on their own without much assistance. In addition to organizing social and educational events for residents, these communities typically offer group dining options, help with housekeeping duties, and assistance with activities of daily living (ADLs) and personal care, but these services are not automatically provided. These senior communities a great fit for those who do not have major medical needs and still want to live independently, but would like to simplify their daily tasks and have some extra help available when needed. 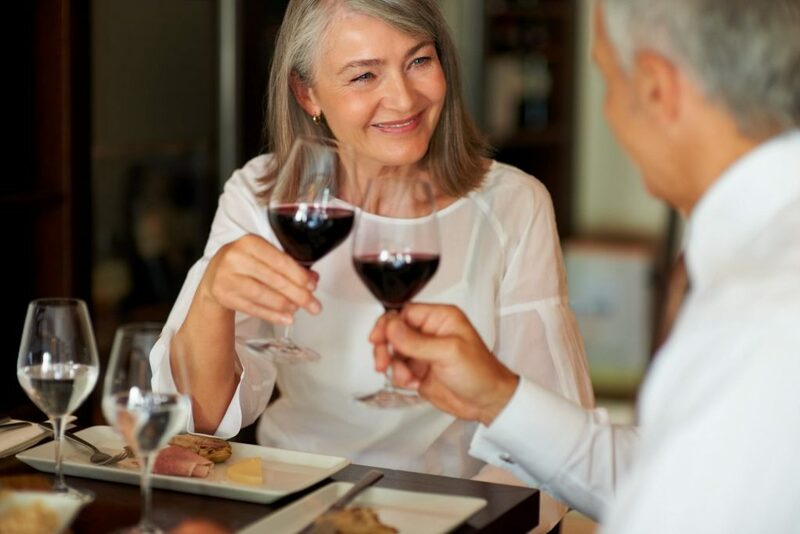 A couple living in an independent living community can take advantage of the many opportunities to meet other residents and expand their social circle. They can also enjoy educational activities, such as visiting guest speakers and activities such as book clubs. Many independent living communities often schedule group outings to scenic and tourist destinations. Independent living communities can be a great senior living choice for couples due to the optional nature of available services. Assistance with ADLs and other related services are available at most facilities on an as-needed basis, so couples can choose to access these services for just one of them. This creates an option for couples to live together in independent living communities even if they require different levels of assistance. This differs from other types of residential care facilities or continuing care retirement communities where care is automatically provided for each resident. Since couples often only have to pay a small fee for the second person, the cost of independent living for couples is nearly half what it would cost for two people to get access to the same amenities and facility separately. Unlike other senior living options, independent living communities are not designed to provide residents with regular health care or long-term care. Acute emergency care is available, as is optional assistance with ADLs and housekeeping duties, but the level of care is much lower than in assisted living communities or nursing homes. However, more assistance is available in these communities than senior apartments, in which residents live completely independently without any optional assistance available. Independent living communities also typically have more planned social activities than other types of senior facilities, making them ideal for those looking to meet new people and stay active in their community. Some independent living communities have a concierge service to help residents make travel arrangements, schedule dry cleaning, obtain tickets for entertainment events, and more. A functional assessment evaluates one’s ability to carry out necessary daily functions (ADLs), as well as instrumental activities of daily living (IADLs). ADLs are basic daily tasks like bathing and dressing. IADLs are things that are less essential, but still important for independent living, such as handling finances, grocery shopping, and driving or arranging one’s own transportation. Functional assessments are often used to determine which level of residential care or memory care community is the right fit for seniors. For example, someone who needs regular assistance with ADLs would be better suited for an assisted living facility, while someone who can carry out all of their ADLs and most IADLs but would like occasional assistance is a good fit for an independent living community. The assessments may also be used to diagnose cognitive conditions such as Alzheimer’s or to develop a care plan for in-home care. Most people visit their primary care physician or an occupational therapist when in need of an official functional assessment. If you would like to conduct a functional assessment for a loved one for your personal knowledge, there are many online resources available with assessment questions and information regarding how to evaluate an at-home assessment. How Much Does Independent Living for Couples Cost? The cost of independent living communities varies significantly depending on the specific community, the services it offers, and its location. Some of the most luxurious communities, which may have amenities such as formal dining rooms, fitness centers, and pools, can cost up to $10,000 a month. More affordable options are available. In most states, the average cost is between $2,000-$3,000 a month. The cost can also vary based on whether residents purchase or rent their homes. In some communities, residents must purchase a home or condo and then pay a monthly fee for services. In other communities, residents rent apartments and the cost of services like maintenance and social activities is included in their monthly rent. Keep in mind that couples who share an apartment may have to pay an additional fee for the second person to account for services such as housecleaning, meals, etc. However, the cost per person will be much lower for couples, making it considerably more affordable than having one of the couples stay at home, while the other lives in an independent or assisted living community. Insurance: Some long-term care insurance policies may be applied towards paying for services received in an independent living community, such as assistance with ADLs or housekeeping. While insurance will not pay for one’s rent or housing costs directly, using insurance to cover these extra fees can help make living in an independent living community more affordable. 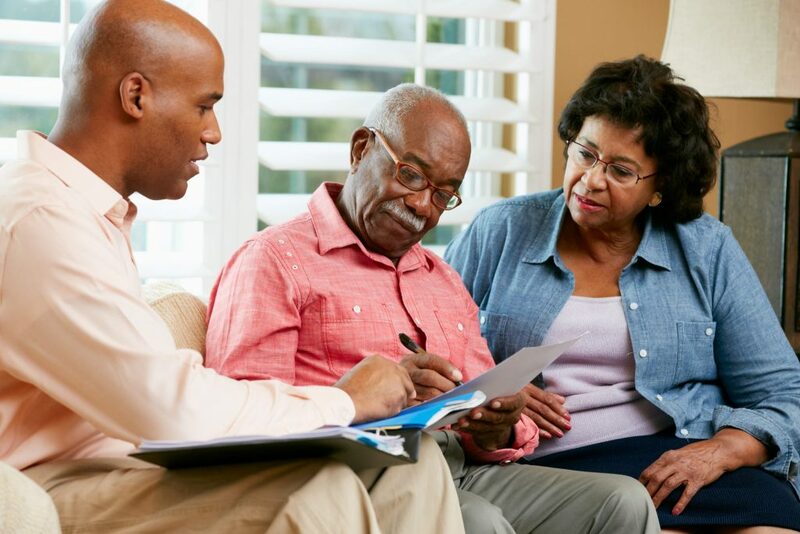 Medicaid: Like with long-term care insurance, Medicaid cannot be used to directly finance independent living, but it does cover the cost of in-home care for those who qualify. If you qualify for this benefit, Medicaid can cover the cost of assistance with ADLs or other related services you need while residing in an independent living community. Veteran’s Benefits: If you or your spouse served in the military, you may be eligible for veteran’s benefits that you can use to help finance independent living expenses, such as in-home care and assistance. Contact your local Veterans Affairs office to find out which benefits you may qualify for. Medicare: Medicare does not cover expenses associated with living in a senior care facility, other than in a nursing home. Medicare is a valuable resource to help save money on medical expenses while living in an independent living community. Life Insurance: If you have a life insurance policy, you may be able to cash it out and obtain a portion of the benefit money now. The policies regarding cash out permissions and amounts vary between different insurance providers, so check the details of your plan to see if you are eligible. If you do choose to cash out your policy, the money can be very helpful for financing living in a senior community. The first step in your search for an independent living community should be to get clear on what you are looking for by researching facilities ahead of time. Comparing different communities online can help you determine your ideal location, which amenities are important to you, and other important factors. Investing time in this research will save you time in the long run by preventing you from visiting communities which do not meet your needs. Another important aspect of research is understanding your financial capabilities. Be sure to look into how much facilities you are interested in generally cost and how much you can expect to spend. If this price is out of your budget, you may need to make some adjustments to your “must-haves” to find a facility in your price range. Alternatively, you can begin thinking about ways to increase your budget, such as selling a property, taking out a bridge loan, or cashing out a life insurance policy. Once you know your budget and are touring communities or speaking with a representative, be sure to ask about any extra fees. In some cases, the cost listed online may only be for rent, and not include community fees. Ask about these fees early on so you know the true cost of living in a community, and avoid being surprised or disappointed later on. Before signing a lease with a community, check online reviews to see what current or past residents have to say about their experiences. Even better, see if you can speak with current residents while you tour a community. Talking to residents is the best way to get an idea of what it is like to actually live in a community, and see if the social life interests you. When touring communities, have a mental or physical list of your priorities. Priorities will be different for everyone, but they may be that the community is in a quiet neighborhood, has appealing dining options, ample choice of social activity, or specific amenities like a library. Keep your list in mind and be on the lookout for these things to ensure that you choose a community where you will enjoy a high quality of life.